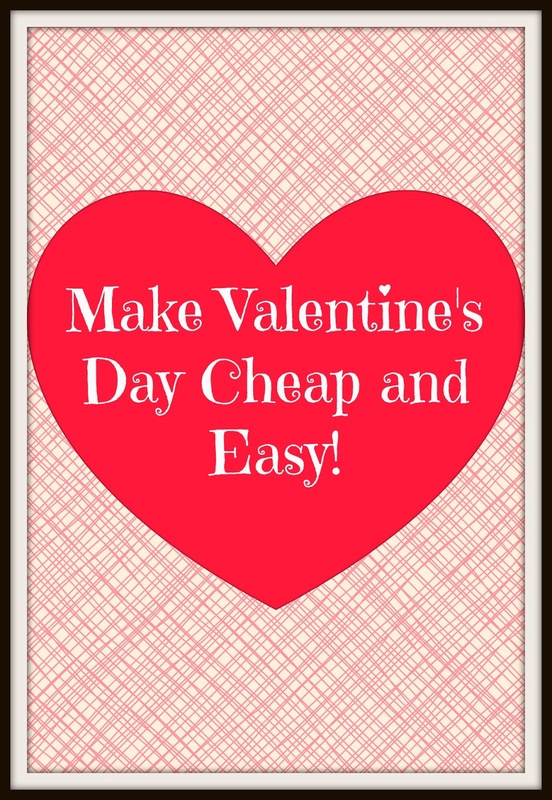 Make Valentine's Day Cheap and Easy! Valentine's Day can be so expensive! Flowers, candy, cards, stuffed animals, expensive night-outs, expensive dinners at equally expensive restaurants, and the list can go on. Guys and gals alike throw away huge amounts of money and for what? A holiday they might remember? What a huge waste of money! I used to work at a florist shop and I just could not believe that guys would spend $150 on two dozen roses, balloons, and the works. I was not as frugal then as I am now, but the cost would just about stagger me. I always really hoped that the wife or girlfriend was really worth it or really appreciated it. Don't get me wrong. I love getting flowers or a plant! I think they are beautiful, but not on Valentine's Day! Do you realize how much those items are marked up? Never mind that the flowers are usually out of season, making the flowers even more expensive! Take a vow to make Valentine's Day cheap and easy! 1. Have a nice dinner at home. Even if you buy the steaks at the grocery store, you are saving a ton of money by cooking them yourself and staying home. If you want a romantic dinner for two, find a babysitter or eat after the kids go to bed. 2. Watch a movie at home. Want a new movie to watch? Hit up a Redbox, see what Netflix or Amazon Prime has for free or rent, or borrow one from a friend. 3. Make cards for each other. Write a heartfelt note on the card. 4. Make your own decorations using ideas from Pinterest or the free printables on the internet. 5. Make your kids' Valentines for school using free printables from the internet. I found some really cool Star Wars Valentines for my son to give at school. We also taped a pack of 5 Juicy Fruit gum on the back of each one as the favor. 6. Go visit an art gallery or museum. Most places are free or free passes can be obtained to visit. 7. Play a card or board game at home. We love to play UNO together. It can be vicious with the kids involved, but we didn't teach them to play to lose! 8. Take a walk or sit together on the couch and spend some time just talking to each other. Communication is important in any relationship and is free! 9. Go on a drive and visit some places that mean a lot to you both. While driving is not always cheap, gas prices are low right now. Plus there is no cost for being sentimental. Visit the places where you first met, had your first date, had a great time at, a favorite spot for both of you, etc. 10. Make breakfast in bed. Who doesn't appreciate having a great breakfast made and served to you in bed? 11. Make a book of favors to give to your special one. Have coupons for free massages, supper of their choice, clean their vehicle, etc. You can make these as nice or intimate as you want! 12. Make a batch of Valentine's cookies to give to kids or neighbors. 13. Swap babysitting with another family to have a free night for just the two of you! 14. Make a special dessert for just the two of you or the whole family to share. Cheesecake with cherry or strawberry topping is always a hit in my family! 15. Fill a jar with little love notes to open in the year to come. Just a note saying "I love you" or "Your're the best" can really lift someone's spirit! I am sure there are more ideas to think of, but this is a good list to get started with. I know some people do not celebrate this holiday and that is fine too. I think you should express your love and appreciation all year round and not just one day. However, some people think it is special day and want to celebrate accordingly. Just do it cheaply!